From 7-18 January 2019, the Iceland University of the Arts (IUA) is offering 10 available places in 6 different express courses. These places are offered to students in the networks of KUNO, CIRRUS, Norteas, Nordic Academy of Architecture and the networks under the umbrella of Nordplus Music. All courses have a cross disciplinary approach in the sense that these courses are open for students with various background: fine art, design, music and performing arts. Requirement: to have completed minimum 1 year of study BA level in art, design, architecture, music or performing arts. This course is an exploration of the act of making as a self-driven and self-oriented activity beyond disciplines. The aim of the course is to build a platform for dialogues around Making between the disciplines of Design and Performance (and others).Our premise for these two weeks is that we will not make to perform for others or to communicate ideas or fulfill functions. We will make for ourselves, to find pleasure in making, and find new making processes and rituals. 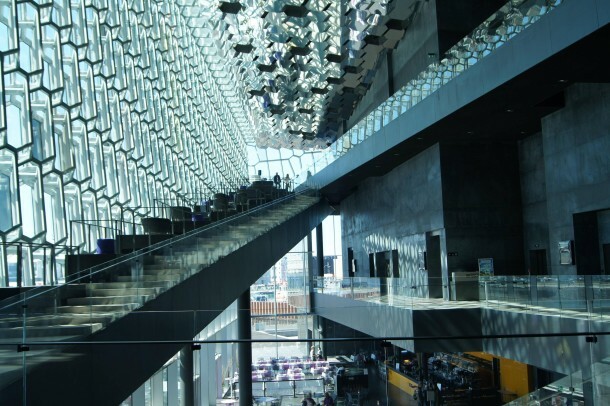 Harpa Music Hall is a monumental structure fitted with 714 LED lights in its geometrical facade. The lights essentially form a huge screen with a very low resolution, where each fixture is a single pixel. What can we do with such a massive screen? How can it make people’s experience of the city more beautiful, more interesting, more dynamic, more creative? 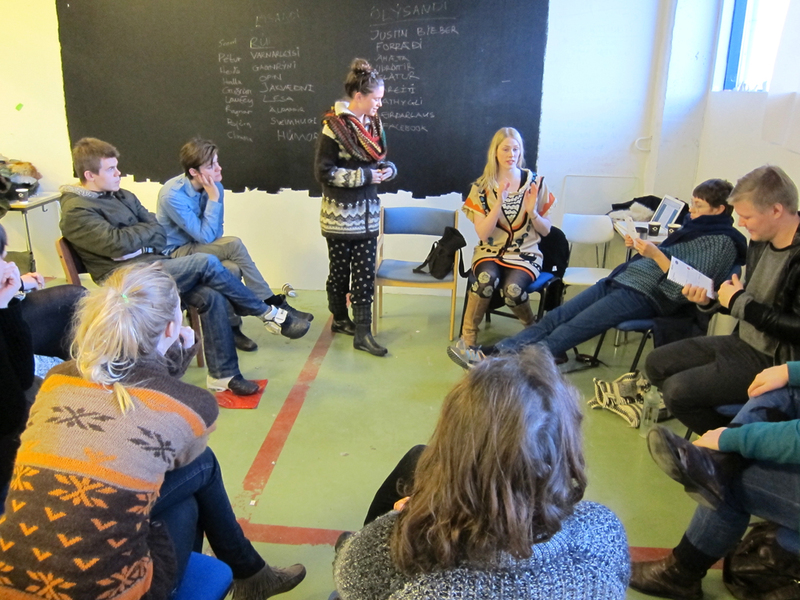 Together, the group will come up with a concept for a functional piece for the facade of Harpa. The work will run live on the building during Winter Lights Festival in February. No technical skills are explicitly required to join the course but students will be expected to research and develop some ability in the group's chosen medium. The course [THE OUTER SKINS] takes place on the borders of two disciplines: architecture and fashion design. In the most simple terms, both of these fields are concerned with sheltering the body from weather, wind and other exposures. Furthermore, these disciplines serve as forms of communication for individuals, as forms of representation for identity – social, religious and cultural, and a personal worldview. In the workshop, the filmmaker Helena Jónsdóttir will introduce the concept of Physical Cinema, were movement is the vocabulary. The movement of the body, of the camera, the object, lights and even the sound. What moves us? Like Pina Bausch said “Im not interested in how people move, but what moves them”. That is point of departure for the workshop. The students will explore their voice and find it a pathway through this medium. A focus will be on concept and character development, connection between word and movement and between movement and visual composition. There will be dialogue about the international market for short films. The workshop is for people that are interested in filmmaking and movement, in front of and behind the camera, or both. 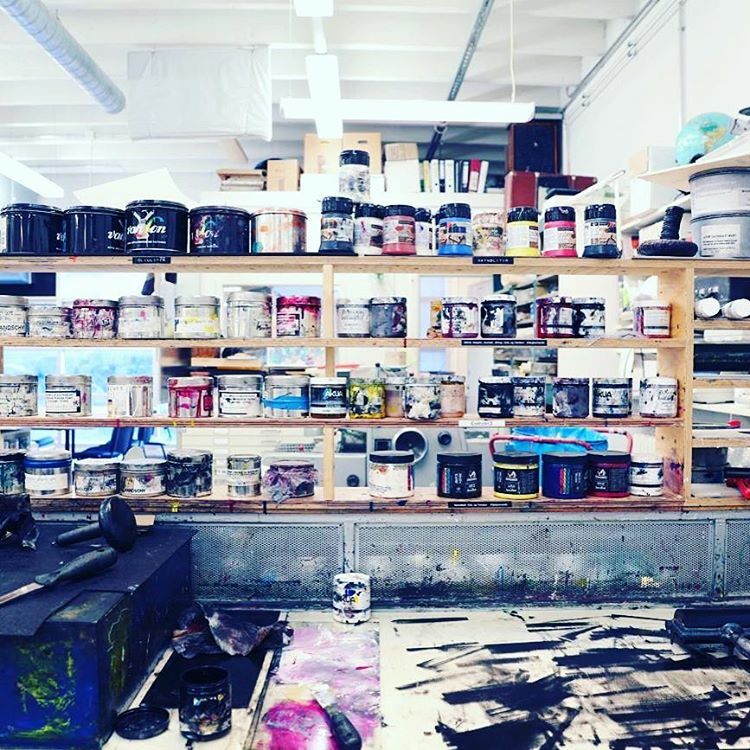 Students work with relief print, monotype and screen printing in unconventional ways, developing print works which extend into the surrounding space and create new spaces. The course is an experimental lab aiming at expanding visual thought, creative processes and technical skills through collaboration and conversation. The course focuses on performing art in real time, using all available tools. Methods are investigated, and the context of performance art will be explored. Kinship with other methods such as video, photography, props and installation is reviewed as well as ideas about the relationship between the performer and the audience is disseminated. -Be able to engage in collaborative performance work. In the course, the focus will be on the the sound/noise of our environment. Where do sounds come from? How much control do we have over what we hear? What is the difference between hearing and listening? What is silence? Does it exist? In the course, the sounds of the environment will be explored through methods known as Deep Listening, as presented by American composer Pauline Oliveros. By the end of the course students will present their own work based on Deep Listening. Participation in classess, assignments, readings, final project. -Be familiar with Deep Listening and be able to use it in music making. -Be familiar with various creative approaches to listening, performing and composing.